When 16-year-old Laura della Scala learns that her older sister, Beatrice, has drowned, she is given no time to grieve. Instead, Laura's father removes her from the convent where he forcibly sent her years earlier and orders her to marry Beatrice's fiancé, a repulsive old merchant named Vincenzo. Panicked, Laura betrays a powerful man to earn her way into the Segreta, a shadowy society of women who deal in only one currency—secrets. The Segreta seems like the answer to Laura's prayers. The day after she joins their ranks, Vincenzo is publicly humiliated and conveniently exiled. Soon, however, Laura begins to suspect that her sister's death was not a tragic accident but a cold-blooded murder—one that might involve the Segreta and the women she has come to trust. I was wary about this book- it had only a 3.0 rating on Goodreads. 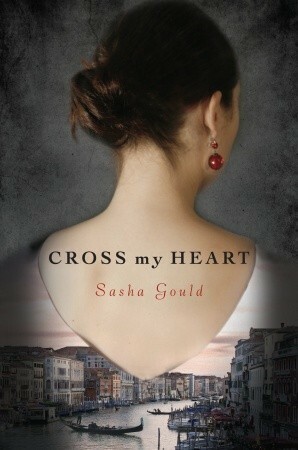 I love historical fiction and loved that this had secret societies, mystery, and was set in Italy. I loved this book! There is absolutely no paranormal elements to this book- so if you don't enjoy historical fiction, you may not honestly like this book. However, if you love straight historical fiction with a light touch of love and mystery- you will enjoy this book. This was not a fast moving book- the action was more in the form of words, rather than sword fights or dangerous chases. Although it was a slow moving book, it wasn't a boring book- and that makes a huge difference. I enjoyed the intrigue and all of the references to Italy. I highly recommend this book to YA lovers, historical fiction lovers, or any reader who is simply looking for something different than what is out there right now! I hope this trend of more YA historical fiction continues- I am a big fan! I'm not exactly a YA historical kind of reader, whether YA or adult. However, I do love a bit of secret and deception stirred into a plot. This sounds like a great read. Thanks for the review.